Hardwick’s world was flipped upside down last month when his former girlfriend Chloe Dykstra accused him of sexually assaulting her. Hardwick denied the allegations, but came under heavy fire and lost some high-profile gigs. Nerdist Industries, which Hardwick co-founded, was among the first to separate themselves from him. AMC followed by announcing that Talking With Chris Hardwick would no longer be airing. NBC was also “assessing” the situation to decide whether Hardwick would be returning as host to the game show The Wall but it appears that they have made a decision. As reported by Deadline, NBC has announced that Hardwick will be returning as the host for The Wall. This will mark the show’s third season on the air. 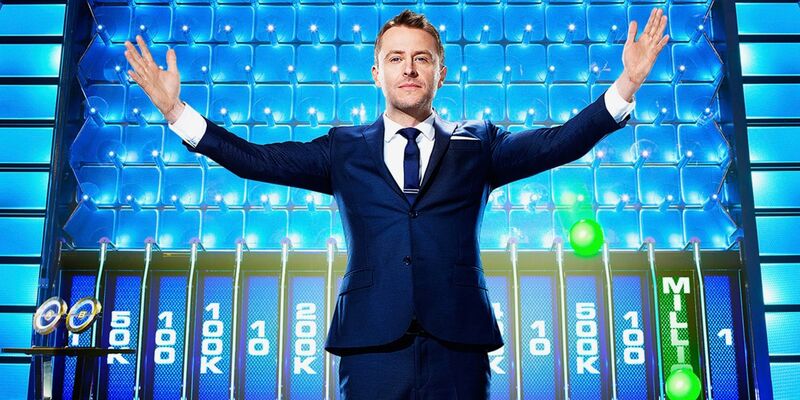 Furthermore, Hardwick’s pachinko style game show will return with 20 episodes this fall. NBC also confirmed that Hardwick would be appearing as a judge for America’s Got Talent on August 7th. Despite almost being blacklisted like so many other actors, Hardwick seems to be getting gigs back. Now that the industry has had time to investigate Hardwick’s behavior, other networks have given Hardwick his jobs back like NBC has. On July 25, AMC announced that the next season of Talking Dead would commence as previously planned with Hardwick as the host. Unlike many prominent figures who were accused of sexual assault, Hardwick was one of the few who has been defended by people who know him. Hardwick’s ex-girlfriends Andrea Savage and Janet Varney both spoke up about their experiences with their ex-boyfriend and claimed he was nothing like what Dykstra had led people to believe. After the Harvey Weinstein scandal, nearly all movie studios and TV networks have cracked down on actors who have been accused of sexual misconduct. While the exact details pertaining to Hardwick’s investigation are unknown, it is a good sign for Hardick that he is not only regaining jobs, but that people are supporting him as well. More horrific stories are bound to come from the #MeToo and #TimesUp movements but it’s reassuring that industries are now willing to take action against offenders while defending others who have seemingly been proven innocent.